Pinpoint has run legal seminars for parent carers on children and young people’s rights, with local solicitors Irwin Mitchell and Buckles, looking at education, health and care issues. You can also access a series of factsheets and template letters on various topics, prepared by Irwin Mitchell and partners especially for parents and young people who need more information about key aspects of the Children and Families Act 2014. All these resources can be found on the Irwin Mitchell website. 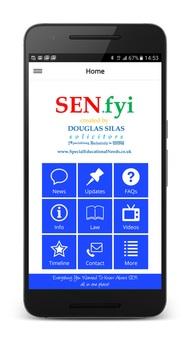 IPSEA, Independent Parental Special Education Advice, has free and downloadable website resources to help families get the right education for children and young people with all kinds of special educational needs and/or disability. You can access these resources via the ipsea website. There are model letters, frequently asked questions, a jargon buster and lots more. IPSEA’s trained volunteers give free, legally based independent advice and support in England. You can book a 30 minute appointment via the website to slot to speak to one of IPSEA’s volunteers on any educational issue that is the result of a child’s special educational needs or disability. An IPSEA Volunteer Adviser will give you up-to-date information on the law, and what it allows you to do. They will also give you clear next-step advice. If you’re caring for a disabled child, remaining in paid work can be quite challenging. Knowing your rights can help you combine paid work and caring for your child. Charity Working Families has set up ‘Waving not drowning’ – a dedicated network and advice service for parents of disabled children who work or wish to work. 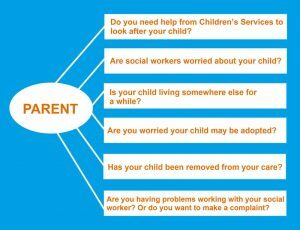 Parents’ helpline for questions about work and caring: 020 7017 0072. Family Rights Group is a charity working with parents whose children are in need, at risk or are in the care system and with members of the wider family who are raising children unable to remain at home. FRG advises parents, grandparents, other relatives and friends about their rights and options when social workers or courts make decisions about their children’s welfare. It’s free and confidential advice service has expert advisors with extensive experience in legal and social work practice. They help families understand the families law and child welfare processes, as well as better understand the concerns of social workers. This handbook aims to empower disabled children and their families through better understanding of rights and entitlements. It costs £50 to buy but you can download a free PDF adaption of each chapter via the Council for Disabled Children’s website. Like some free family law or employment advice? The Law Clinic at Anglia Ruskin University in Cambridge offers free half hour appointments. It can help with family law matters including issues around the breakdown of relationships and arrangements for children. And employment issues such as unfair dismissal, discrimination, carer’s rights and returning to work. Contact Sarah Calder. The clinic number is 01223 698497.